​'Sunsrise Just for Us at Lossiemouth! ', watercolour, 52 x 34 cm. There's been some fantastic sunrises over East Beach at Lossiemouth on the Moray Firth recently. This painting evokes the feeling of having this wonderful display put on just for us, when there are few people about in the early morning. 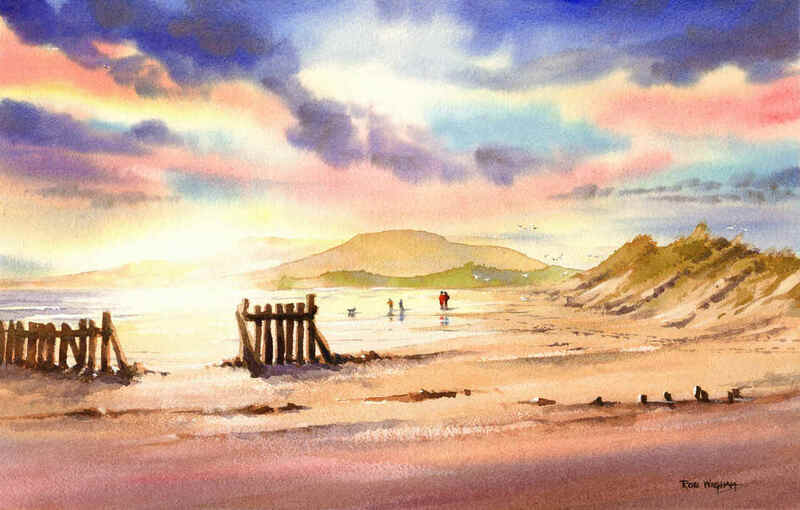 The original watercolour is available, £160, mounted but unframed.